Stainless Steel Pins, any custom shape. Eliminates need for holding lines, One to One Registration. Offset Printed: - Ideal for Pins with Shading or Halftones. 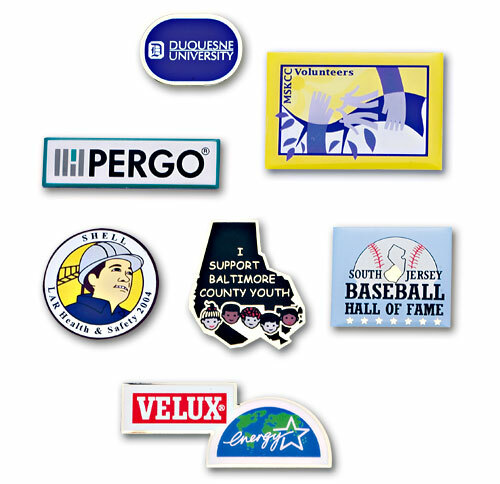 Screen Printed: - Colors are screened onto metal findings, one color at a time. Pins can have a laminate or epoxy coating.